- The iMD Smart Paper Filing/Storage System©, an American invention, revolutionizes cabinet filing by bringing our patented technologies to your office. 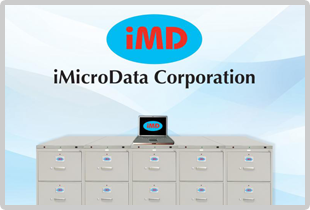 - The iMD Smart Filing System, utilizing a digital chip at its core, embarks on a new generation of cabinet filing using a digital invention of iMicroData, a Silicon Valley based firm that specializes in cutting-edge electronic technologies. 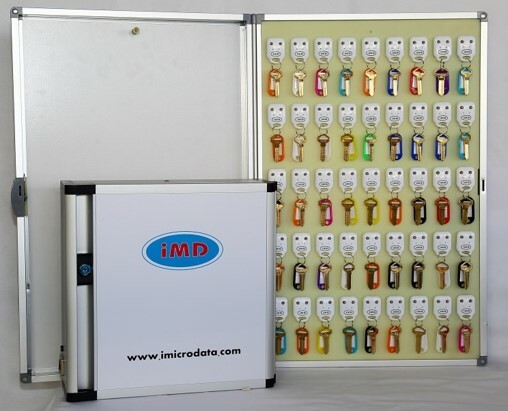 The iMD Smart Filing System is a simple, reliable, production- and cost-efficient system backed by 14 patents, including 9 patents issued globally. - The iMD Smart Filing System can store and inventory up to 4 billion folders, or equivalent to that of 40 million standard size cabinets. - The computer will map the location of the selected folder. - The corresponding cabinet drawer will unlock automatically as the drawer LED blinks. A red flashing LED on top of the requested folder will indicate the folder to be retrieved. - A solid green LED at the right of the folder indicates that this folder is in normal standby condition. The LED will automatically shut off after 30 minutes in order to conserve power. - You can re-file the folder in any drawer at any location. The system will register the new location of the folder instantly. - Upon pressing the RE-FILE button, a “beep” sound will indicate that the folder has been re-filed successfully. - The system is accessible by Ethernet, Wi-Fi, or the Internet from a remote location through any computer device including a desktop, laptop, or tablet. - Cabinets, drawers, and folders require no physical label. Particular documents are thus less susceptible to theft or unauthorized removal. - All folder searches, check-outs, and returns are logged electronically. - The system can identify and locate any missing folders by means of a thorough scan. The scan of a 100,000-folder system for existing, missing and checked-out folders only requires 10 seconds. - A real-time scan is performed after any folders are returned or checked out.